Nicco Montano has been stripped of her UFC women's flyweight championship after being taken to the hospital on Friday due to a weight cutting issue. Nicco Montano has been stripped of her UFC women’s flyweight championship. On Friday, UFC president Dana White announced that the flyweight title has been vacated after Montano was unable to compete following a brutal weight cut that ended with her being taken to the hospital ahead of her bout against Valentina Shevchenko. Following Montano’s removal from the card, White decided to strip her of the title and now Shevchenko will face a different opponent later this year to crown a new women’s flyweight champion. 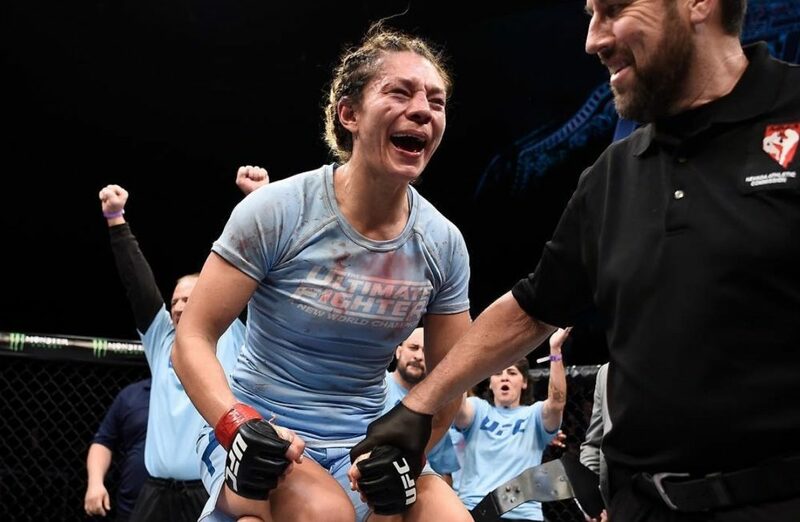 It’s an abysmal end to the title reign for Montano after she was crowned champion last December following a win over Roxanne Modafferi at “The Ultimate Fighter” 26 Finale. Following her title win, Montano was forced to the sidelines to deal with a foot injury that had actually plagued her during the filming of the reality show as well. While in the midst of recovering from that injury, Montano also had to undergo surgery to remove her tonsils that delayed her return to action even further. Montano then suffered through a tough weight cut in anticipation of her first title defense at UFC 228 and she was ultimately taken to the hospital for precautionary reasons and her bout was called off. Now the UFC has stripped her of the title with plans to crown a new champion later this year with Shevchenko facing a different opponent still to be determined.